Welcome back Maharanis! 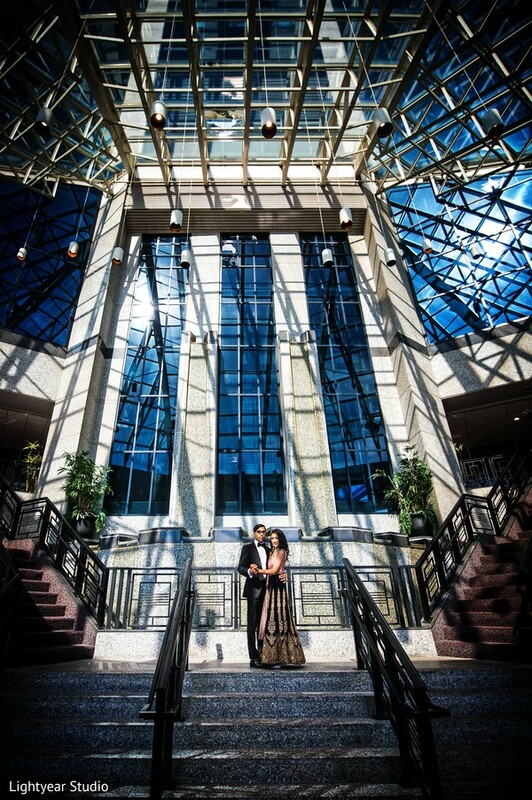 We wrap up the auspicious wedding of Neha and Shyam at the Sheraton Mahwah. 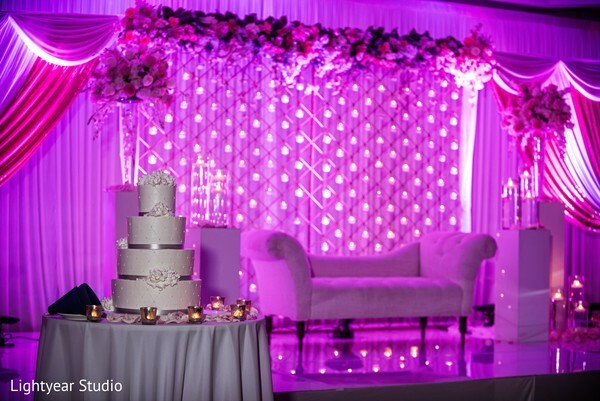 Wedding Design bathed the venue in pure luxury, and we’re swooning over the twinkling wall of candles, rosy uplighting, and oodles of roses gracing the space. 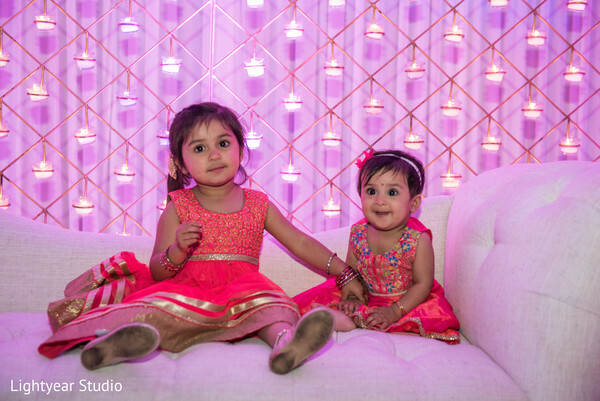 To match the lux atmosphere, Neha and Shyam brought their fashion A-game! 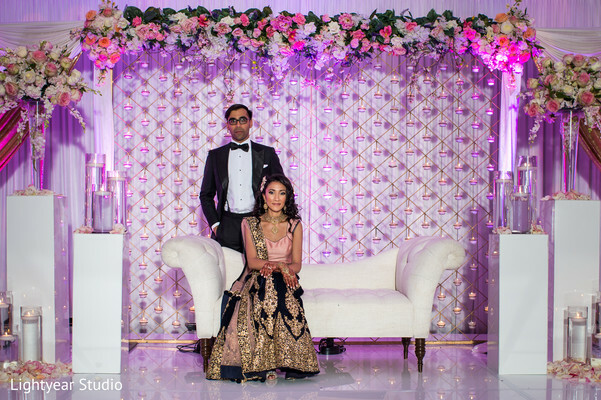 The bride wore her black tie finest, in a pink, black, and gold lehenga that oozed sophistication. 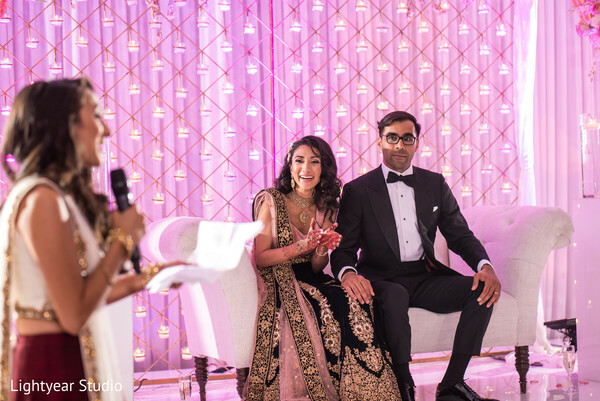 We’re loving the way that her gown flowed with every sashay and swirl. 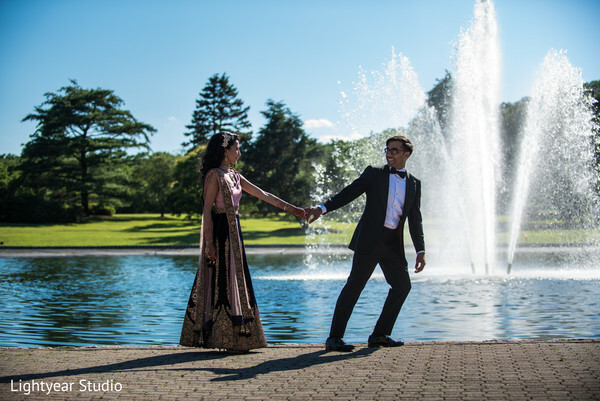 Handsome Shyam also looked amazing in a perfectly fitted tux that matched his Maharani perfectly. 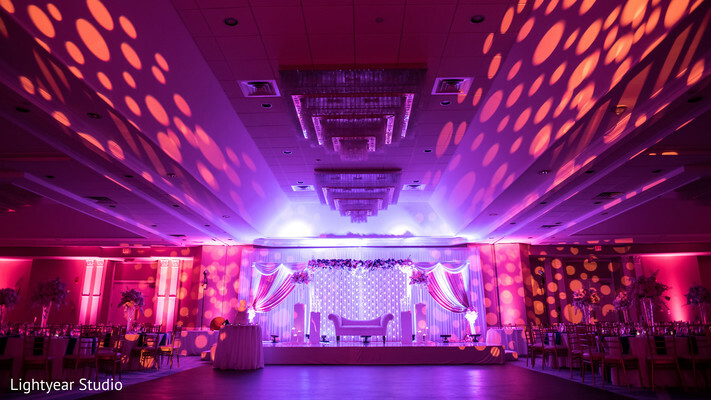 We are so amazed with the planning abilities of Bells N Rings Events, and how they ensured every detail was in place! 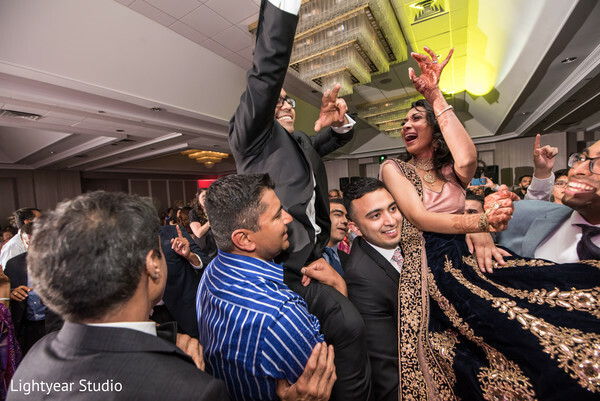 The night rocketed off to a new level of euphoria as Jay Dabhi entertained guests with his melodious Bollywood beats. 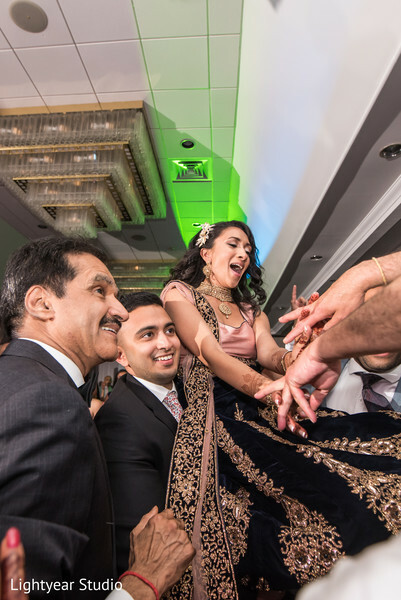 The resulting dance party looked like the best time ever! 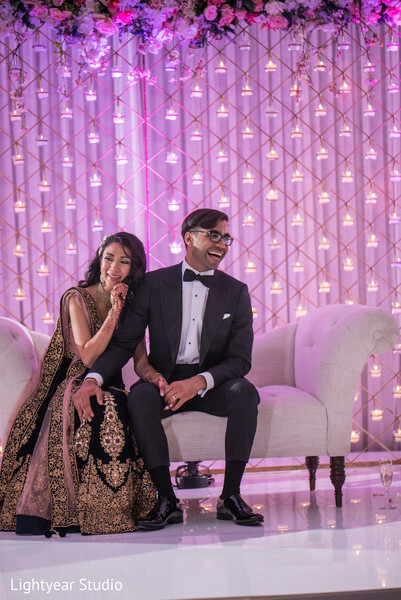 Peruse through the gorgeous photos of this fairy tale wedding in the full gallery by Lightyear Studio.